It has been estimated that one pound of muscle will cause an increase in daily energy expenditure or basal metabolic rate (BMR) of about five calories. A common belief in the health and fitness industry is that people should gain muscle and increase their metabolism. This is technically true, but the effect is minimal. It has been estimated that one pound of muscle will cause an increase in daily energy expenditure or basal metabolic rate (BMR) of about five calories. Therefore, even if someone did gain 10 pounds of muscle, they would only increase their BMR by 50 calories. However, it is not common for most people to gain this amount of muscle. Additionally, for people who are trying to lose weight, it does not really work this way. The reason that muscle gain will not actually increase their metabolism is because they will simultaneously lose fat. Their fat loss will decrease their metabolic rate because fat has a metabolic rate of about two calories per pound. 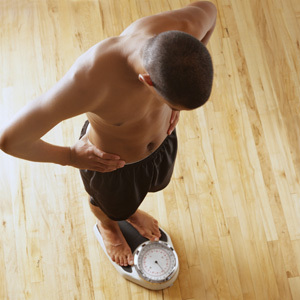 For example, if someone lost 20 pounds (a common goal), their metabolic rate would drop by 40 calories per day. If they gained five pounds of muscle (a significant gain for most people on a weight-loss program), resulting in an increase in metabolism of 25 calories per day, the end results would still be a net BMR loss of 15 calories per day. This demonstrates that the common assumption about building muscle and revving up one’s metabolism, for most people, is not true. The true benefit of doing resistance training seems to be in maintaining the amount of muscle mass a person has and promoting the preferential breakdown/utilization of adipose tissue during a weight-loss (calorie restricted) program. Jeff Thiboutot has bachelor degrees in nutrition and psychology, is a certified personal trainer and nutritionist, and is a licensed massage therapist. He is a co-owner of L.E.A.N. Wellness Center in Mesa, Ariz. 480-539-4041 or jeffT@getleanstaylean.com.